I need to have both my daily tasks and long-term goals in front of me every day. That is the only way I can keep my focus. For instance, when I was in university, I had to start and end each day by looking at my timetable. This helped me to always keep in mind what my focus should be. When smartphones came along, I tried every possible smartphone app to plan your time and increase productivity. In the end, I settled for Weekdone. Haven’t looked back since. Staying focused on the right things, is hard and takes a lot of time. Lost focus costs money, makes your team miss deadlines and brings down the morale. I believe everyone is familiar with the frustration that one feels when they get can’t get as much done due to lost focus. It’s even harder, when you’re a manager yourself and you see this happening to your team. Most managers struggle with distracted employees or with not being able to achieve goals due to inefficient structure in the company. 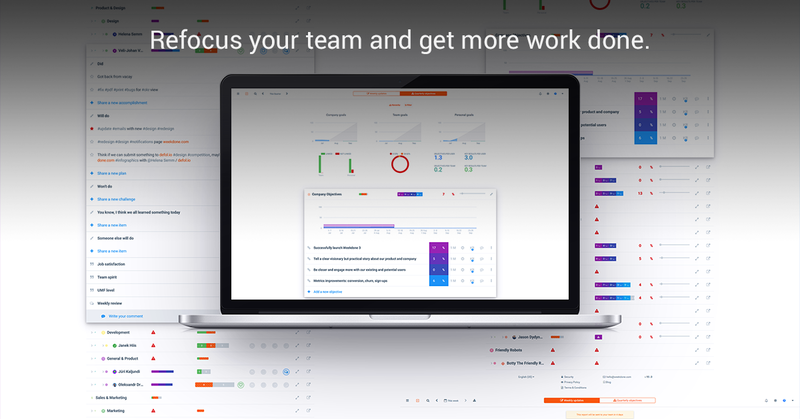 Luckily, for a innovative manager, there are a lot of tools like Weekdone that help you keep your team on track. Weekdone is a continuous feedback suite. 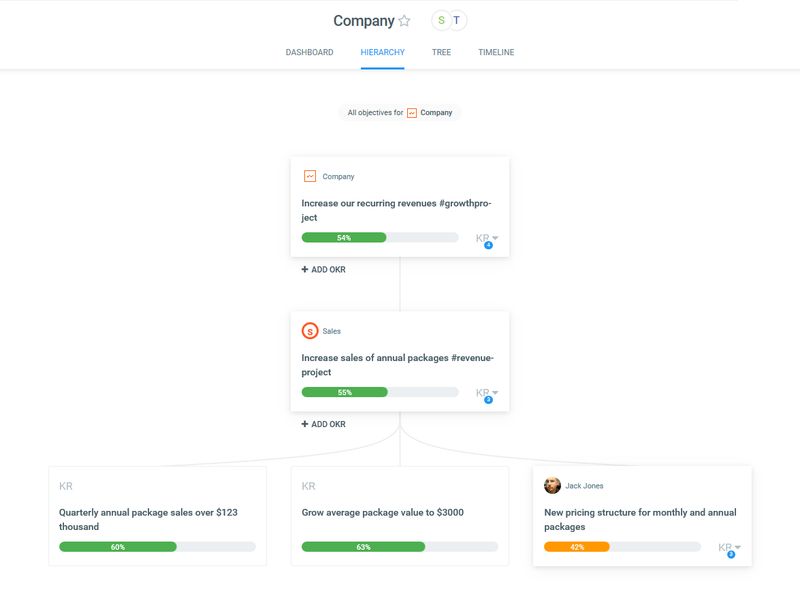 It offers tools that help you set better goals with Objectives and Key Results (OKRs), handle your weekly reporting needs, and give weekly 1-1 feedback to your employees. 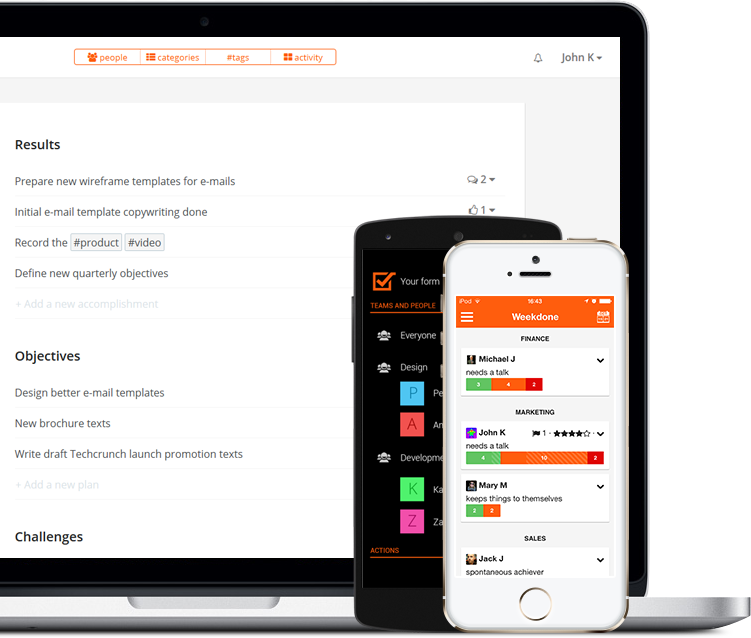 While many tools have these features, Weekdone brings them all to one platform and makes them all easy to use. It’s built on an idea that it is easier to set weekly plans when you have your long-term objectives in front of you. It’s easier to give direct feedback if you can see what your employee have recently accomplished. While it is possible to use either only the weekly reporting system or only the goal setting part of Weekdone, it works most efficiently when they are combined. I don’t have to write what happens if a team is not focused on their tasks. However with Weekdone you can set long term goals and focus on those objectives every week. That will help your team will work as a well-oiled machine. How Weekdone helps to combat different challenges. It’s ideal even when you’re running a remote team that has its own set of challenges. As Emeric Ernoult – Founder of Agorapulse told us: "Thanks to Weekdone’s team management software, we’re remote, but not scattered, operating efficiently in over 120 countries." I can use the Weekdone dashboard to not only know where I am with my work but how everyone else in my team and company is doing. That makes it easy to dive into work each day and keep my focus right where it needs to be. It’s never been a better time to improve your team than today. It’s never been a better time to improve your team than today. 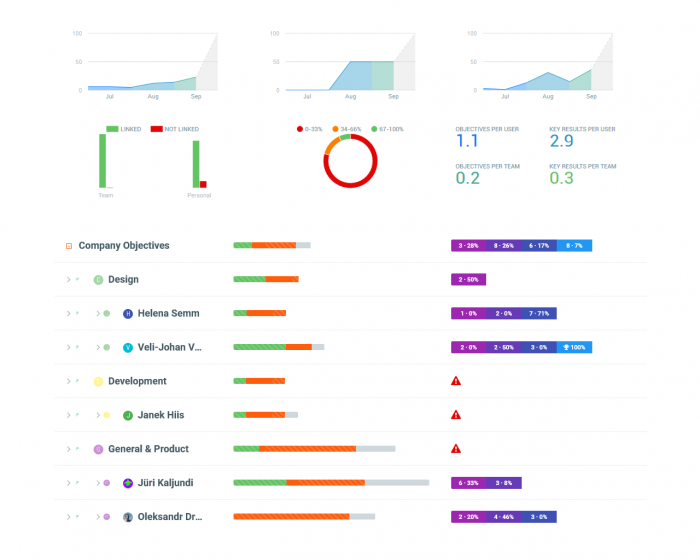 So you should try out Weekdone for free right now to see the dashboard for yourself. Remember to follow us on Twitter, Google+ and Facebook for all about PPP, weekdone, okrs and more!